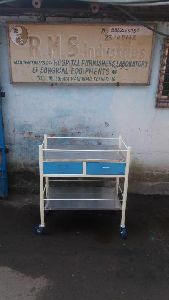 Frame made of heavy tube mild steel.Two Stainless steel shelves, four side guard railings on both shelves, with two drawers underneath top shelves.Mounted on 100 mm ball bearing castors.Powder coated finish. 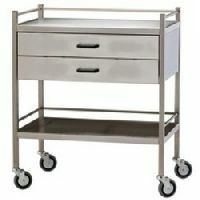 Made of fully stainless steel also. 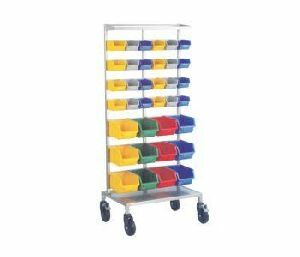 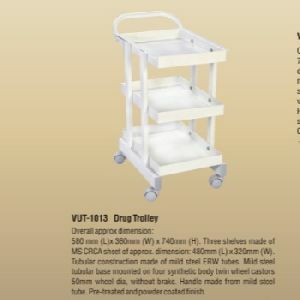 We have in our store very useful Drug Trolleys . 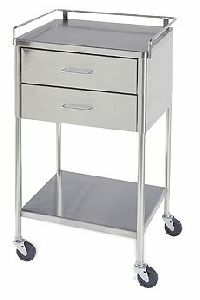 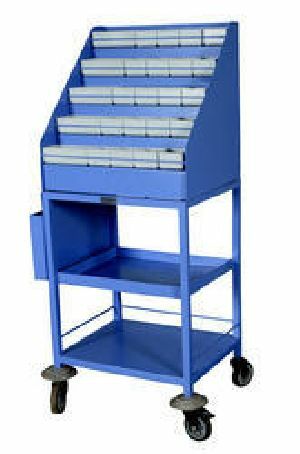 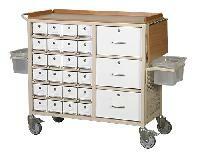 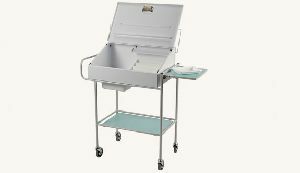 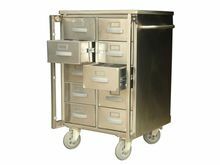 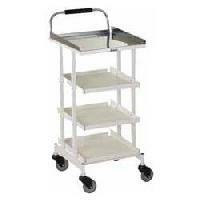 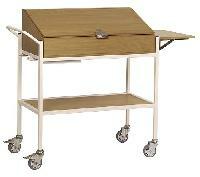 Our Drug Trolleys are fabricated using high grade metal material and modern technology. 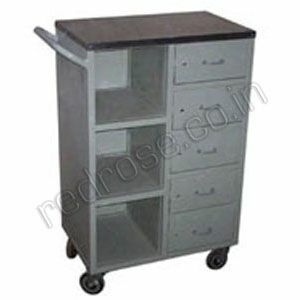 They are easy to move and place wherever required. 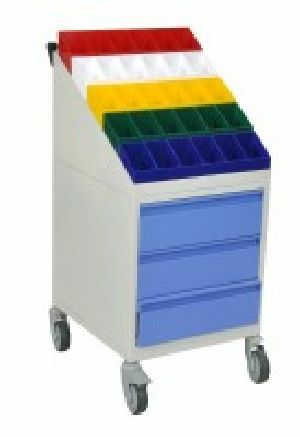 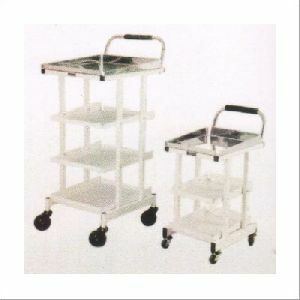 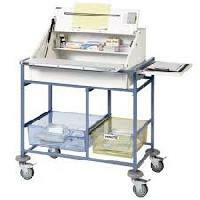 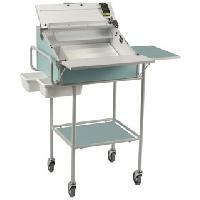 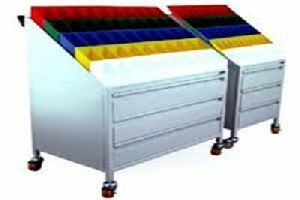 Drug Trolleys are used in hospitals and other medical centers for keeping medicines. 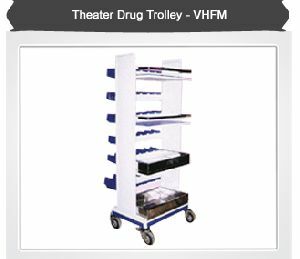 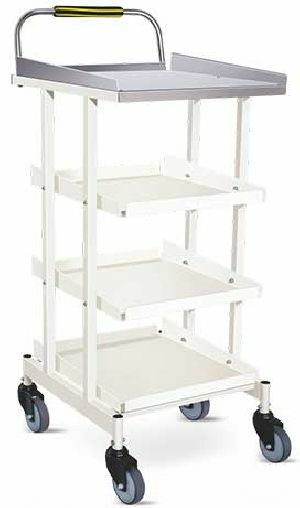 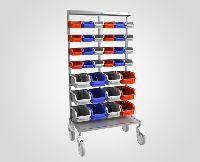 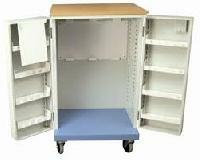 Available at very feasible prices, our Drug Trolleys come in numerous size options to suit all the requirements of our valuable customers. 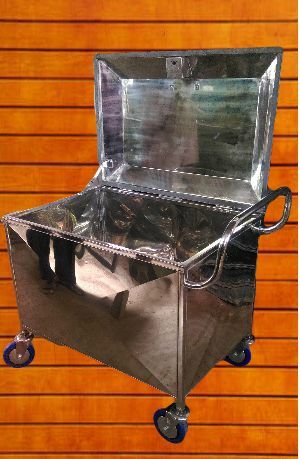 AVI-117 Size : W 490mm x D580mm x H1040mm. 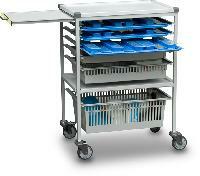 4 trays & 100mm dia wheels. 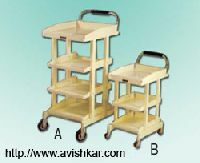 AVI-118 Size : W 355mm x D480mm x H665mm. 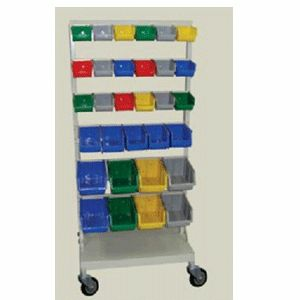 3 trays & 50mm dia wheels. 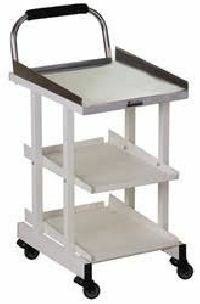 Both sizes available in full stainless steel Pre-treated & epoxy powder coated. 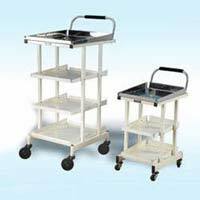 We “Lotus Biomed” are one of renowned manufacturers of hospital furniture and all related good offering a broad range of Drug Trolley.